Bravo Target Safety is known for being a leader within communities across western Canada. We look for opportunities to help strengthen those communities by knowing what is important to the people who live there. We look for opportunities which provide a measurable positive impact in the places we operate. We aim to be a good neighbor in every community in which we live, work and play. Bravo Target Safety’s Grande Prairie Office organized a Family BBQ Fundraiser to help raise money for an individual involved in a single vehicle accident on Easter Sunday. He sustained a traumatic brain injury and was being treated at a local hospital. All funds raised from the BBQ were used to assist in the victim’s rehabilitation journey and provide support for his family. 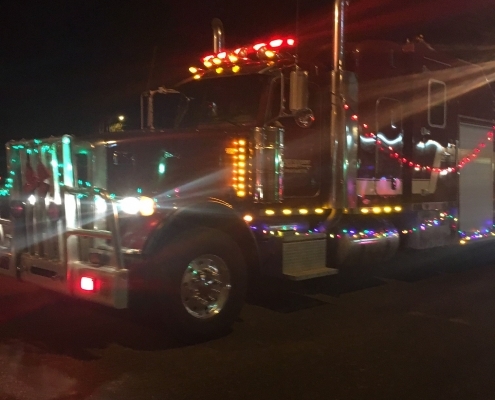 Each year, Lloydminster celebrates an annual Christmas Parade of Lights. 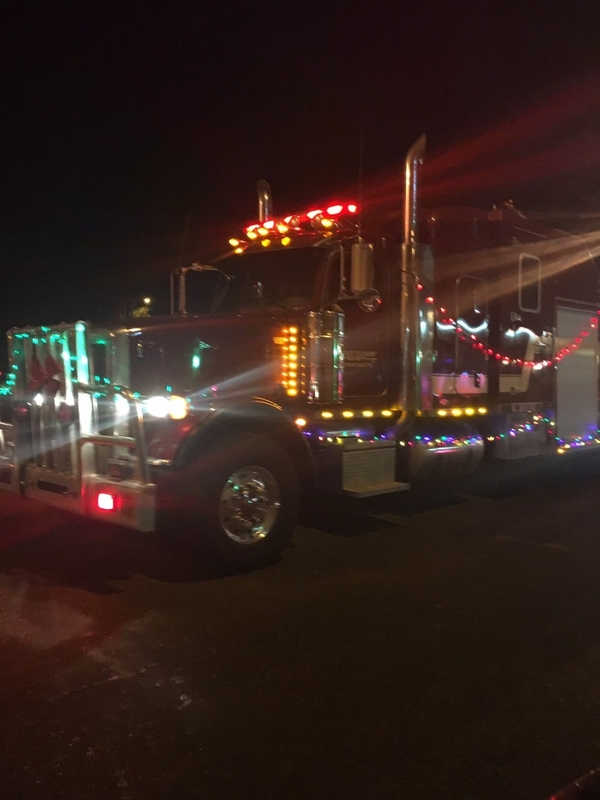 To take part in the holiday cheer, Bravo Target Safety’s Lloydminster Office joined the parade and festivities by decorating our firetrucks with Christmas lights. Our entry was well-received and we were proud to support the local community in which we work. 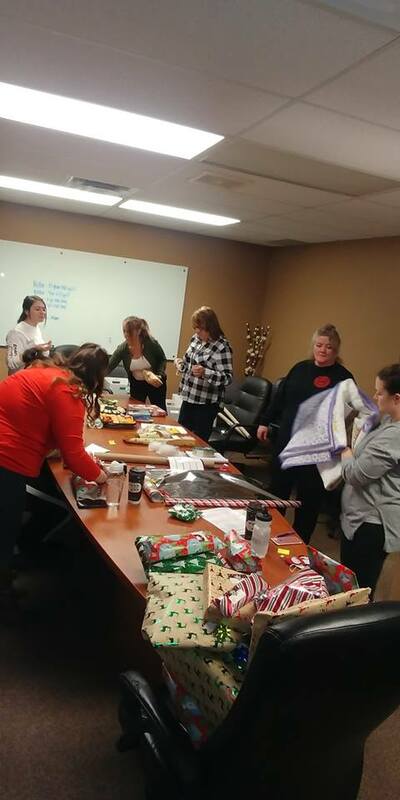 This year, staff members at Bravo Target Safety in Red Deer adopted a Christmas family through Women’s Outreach, a local organization that works to end family violence and poverty by supporting people in their pursuit of a safer, healthier, more secure life. 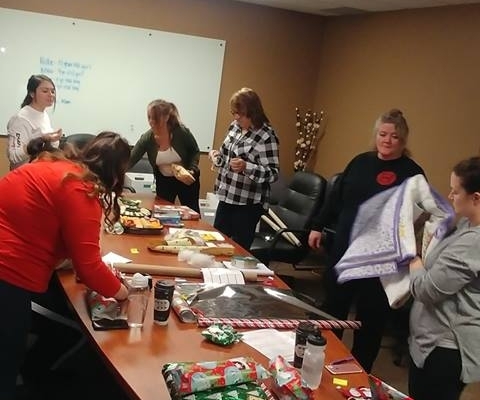 With generous donations from our staff, Bravo Target Safety assisted a single mother and her four children in checking off every item on their wish list, as well as providing a Christmas dinner. 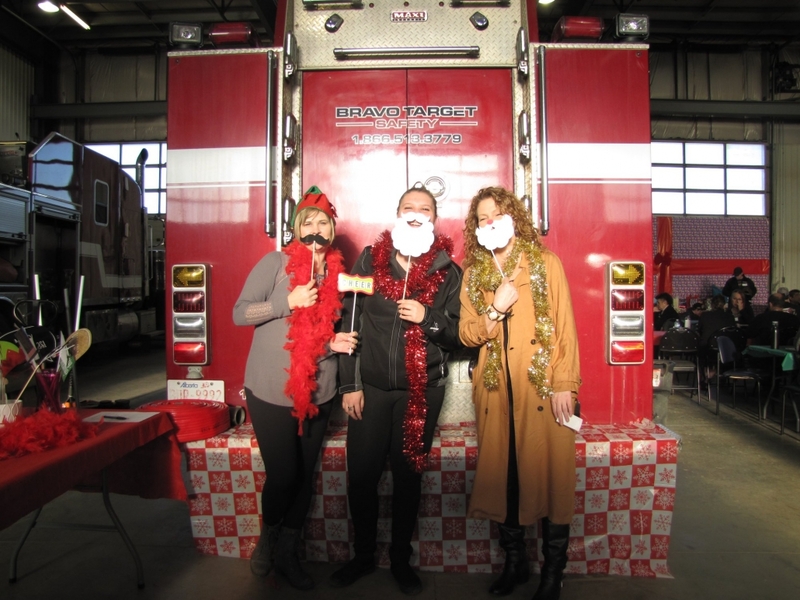 Additionally, donations were collected for the Red Deer Food Bank during the staff Christmas luncheon. All staff were asked to bring items which were then donated to the Food Bank. Bravo Target Safety was able to fill four large boxes of food while celebrating with a Christmas potluck.